All of us here at Peppermint Pig Animal Rescue and Peppermint Pig Thrift and Gift believe in giving back to the communities who so diligently support our rescue mission. In 2016 and 2017, PPAR provided Buddy Bags (K9 first aide/trauma kits) for ALL of the K9 police officers in Clermont County as well as several in Brown County, and one in Hamilton County, through the K9 Defender Fund. In addition to the Buddy Bags, we have also provided Union Township Police Department (pictured below with K9 Kaos) with a GPS tracking system that allows the officers to monitor their K9’s in real time as the team tracks. This has been an amazing opportunity, and we are so happy we were able to help our police officers keep our communities safe, by helping to ensure their K9’s are safe! Peppermint Pig Animal Rescue has also provided much needed support for animals in other non-profit rescues and shelters. We have donated vouchers and funding to provide needed surgeries, spay and neuter surgeries, and crates and supplies (when we have them available) to other non-profits who were unable to afford these things themselves. PPAR has also funded heartworm treatments for several dogs in shelters to help them recover and become adoptable! PPAR also gives back to the community directly whenever possible! For every litter of puppies that have been surrendered to us to find good loving homes for, due to “accidental” litters, Peppermint Pig Animal Rescue has either taken in the parents and spay/neutered them and entered them into our adoption program, or provided the funding to spay/neuter them so they can remain in their home without further adding to the pet overpopulation crisis. We have provided countless cat and pit bull spay/neuter vouchers to families who cannot afford the surgery themselves! 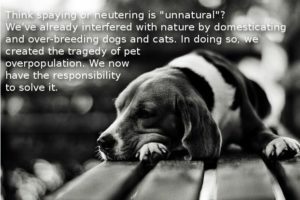 We do all we can to keep the pet overpopulation crisis down in our community and surrounding communities!